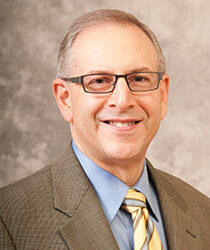 The Department of Family Medicine and Community Health’s Richard Brown, MD, MPH, joined Wisconsin Public Radio’s Joy Cardin show on November 30, 2016, to discuss the Surgeon General’s new report on alcohol and drug addiction, how addiction affects people’s lives and what treatment options are best moving forward. “Facing Addiction in America: The Surgeon General’s Report on Alcohol, Drugs and Health” reviews current knowledge about substance misuse and recommends an evidence-based public health approach to prevent and treat substance-related issues. Dr. Brown explained how genetic, environmental and psychosocial factors can contribute to addiction—emphasizing the need to de-stigmatize substance use disorders. He also shed light on the evolution of the opioid epidemic and how it has led to increased heroin use. Taking calls from listeners, Dr. Brown recommended strategies for how to discuss substance use concerns with loved ones. He also recognized that there is a shortage of treatment centers to help those who have mental health disorders as well as substance use disorders. ‘We have a long way to go to develop the kind of resources that our population really needs to address individuals who have both of those problems,” he said. He also stressed the need for health care organizations to provide more systematic screening and intervention for substance use disorders. In particular, he noted that the report talks about what communities can do to address substance use, and that it includes two helpful websites on effective substance use intervention programs: NREPP and collegedrinkingprevention.gov.